5. Take short trips around your city or region. 6. Host on Couchsurfing so you can show tourists around and see your home with fresh eyes. I would agree with and do most of these but travel meetups and hosting on Couchsurfing are easier if you live in a city (I live in a semi-rural area most of the time). I do have a large library of travel literature and it grows as I plan to visit a new place or revisit a favorite destination. That said, I have read ‘In Patagonia’ twice, 40 years apart and have still not made it to Patagonia. I am currently planning next summer’s USA coast to coast drive (mostly) on the Lincoln Highway. The flights are booked and as we are travelling in the peak summer season (we do not always have a choice of when to go) I am booking accommodation ahead as well and am almost finished – just Reno in Nevada, Truckee and Sacramento in northern California to arrange. I have already booked the end – by the Pacific Ocean in San Francisco. The playlist is currently under construction and James will organize the car. Phil Llewellin, in his book ‘’The Road to Muckle Flugga’ devoted less than three pages to the Lincoln Highway which he drove in 1989 in only eight days. We are taking just under four weeks, inspired in part by the views from the California Zephyr train which we took from Chicago to San Francisco five years ago. We will be getting out of our car to explore and hike in several places along the way. Short trips around my local area is something I do, on foot in the car or on the train. It is often amazing how many places near our homes or workplaces we have not been to, how many paths and roads close by that have not been explored. During the festive season, travel can be difficult and is currently much harder with flooding and rail works so staying at home can be a good idea. 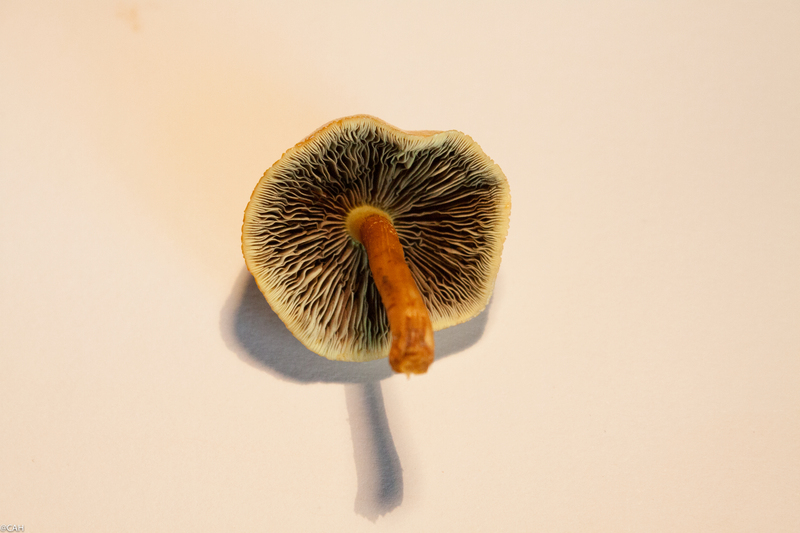 This morning’s surprise on a wander round the garden was the appearance of some fungi in the garden. 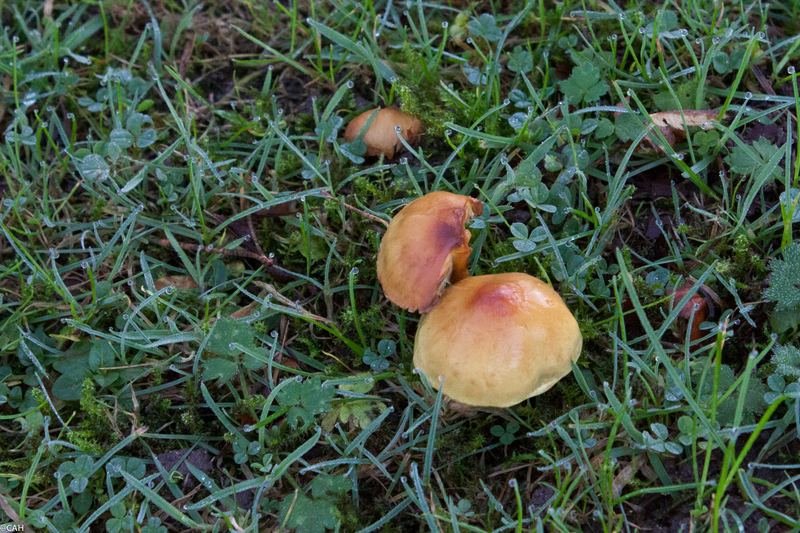 I am trying to identify them and think they might be Hypholoma Capnoides which is in season from spring until autumn and I am still compiling a natural history of the garden. The mild winter has led to the appearance of spring flowers in December so this is something else appearing earlier than usual.